MC Electronics, founded in 1981, is a leading contract manufacturer specializing in the assembly of mission-critical custom cables, wire harnesses and electromechanical assemblies. care of MC Electronics’ Mexico business in the following areas. 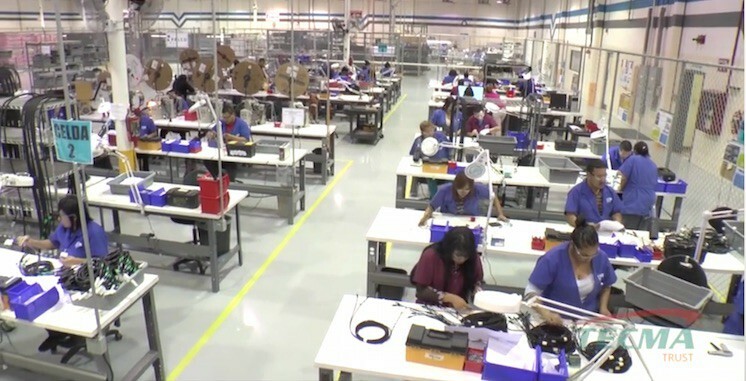 By performing these functions as a part of the Tecma Mexico Shelter Manufacturing Partnership (MSMP) MC Electronics is free to concentrate on the production of its products and their quality, as well as the efficiency of the manufacturing processes that drive the firms’ profitability. Mexico shelter services provided by the Tecma Group of Companies also greatly reduce and mitigates MC Electronics’ risks in the areas of Mexican accounting, Customs and employer responsibility. In essence, under Tecma’s Mexico Shelter Manufacturing Partnership (MSMP) companies like MC Electronics and others of similar, and different sizes, can gain and maintain a competitive advantage in their respective industries by lowering their costs in nearshore Mexico, as well as by leaving the performance of their non-value-added and non-strategic functions to the care of Tecma’s trusted team of Mexico manufacturing support professionals. To learn more about how your company can gain and maintain similar advantage for itself in the market in which it competes, as well as position itself to effectively access North American and global customers, call 915-534-4242 to speak to one of Tecma’s trusted Mexico shelter manufacturing professionals. Read the MC Electronics video transcript. MC Electronics’ extensive experience in critical medical cable assemblies, wire harnesses and electromechanical assemblies has enabled us to support many different industries: robotics, semiconductor, Telecom, industrial, and solar. We work hand-in-hand with your engineers from product concept, new product introduction to end-of-life (spares and logistics), providing decades of application expertise. We support designs for micro gauge wires, special high-voltage pulse cables, and systems used in the harshest environments. From optical instruments to cell analysis to metrology tools, MC Electronics supports your applications with high performance, reliability, perfect quality and cost effectiveness.